Do you know how to proactively monitor for diversion in your facility? Everyone knows diversion can be a major challenge, but not everyone knows how to start the process and take preventive steps to reduce the risk for healthcare facilities, providers, and patients. Join diversion expert Kimberly New for guidance on establishing Best Practices to Proactively Monitor Diversion. We look forward to having you join our discussion! PLEASE BE SURE TO TEST YOUR SYSTEM'S COMPATIBILITY ON THE BRIGHTTALK PLATFORM PRIOR TO ATTENDING THE EVENT TO ENSURE AN OPTIMAL EXPERIENCE. SMARTPHONES MAY NOT WORK DURING THE LIVE EVENT, BUT WILL WORK IN THE RECORDED PLAYBACK MODE AFTER THE EVENT. Drug diversion poses a serious risk to healthcare organizations across the nation. As drug diversion incidents rise, so does pressure to implement programs to prevent these incidents. By establishing a comprehensive controlled substance diversion prevention program (CSDPP), you can take effective measures to protect your organization and your patients. This webinar involves a conversation about how to develop a CSDPP according to recommendations by the ASHP. The webinar will be led by one of the authors of the ASHP Guidelines on Preventing Diversion of Controlled Substances, Toni Fera, PharmD. Joining her will be Michael Reilly, PharmD; Maria Russo, PharmD; and Lisa Oldham, PhD, MSN, RN from Orange Regional Medical Center. Everyone knows drug diversion can be a major challenge for monitoring anesthesia, but not everyone knows how to take preventive measures to reduce the risk of diversion in the operating room. Join diversion expert Kim New for guidance on how to prevent, detect, and react to anesthesia diversion. Everyone knows drug diversion can be a major challenge in nursing units, but not everyone knows how to take preventive measures to reduce the risk of diversion in the central pharmacy. Join diversion expert Luke Overmire for guidance on how to prevent, detect, and react to diversion in your pharmacy. Implementing a centralized services model offers health systems opportunities to provide value-added services to their pharmacies such as compounding, repackaging and low-unit-measure order fulfillment. But for health systems that include 340B covered entities, maintaining compliance and tracking of inventory dispensed through a central location can be a challenge. Join the webinar to learn how to manage centralized distribution and remain compliant with 340B regulations. We will be hosting a roundtable discussion with multiple thought leaders who have contributed to the ASHP Guidelines on Preventing Diversion of Controlled Substances. The guidelines are aimed at helping healthcare organizations develop a controlled substance diversion prevention program. Drug diversion is a serious concern facing all healthcare institutions, and the VA is not immune to this problem. Since 2009, VA medical centers and other federal hospitals have seen a notable increase in opioid thefts, missing prescriptions, and unauthorized drug use by staff. Do you know how to proactively monitor for diversion in your government facility? Join diversion expert Kimberly New for guidance on establishing controls within your facility to effectively address drug diversion. Do you know how to effectively manage medication processes in procedural areas of your facility? Everyone knows diversion is a major challenge in today’s health care environment, but not everyone knows how to confidently detect, manage, and prevent diversion incidents. 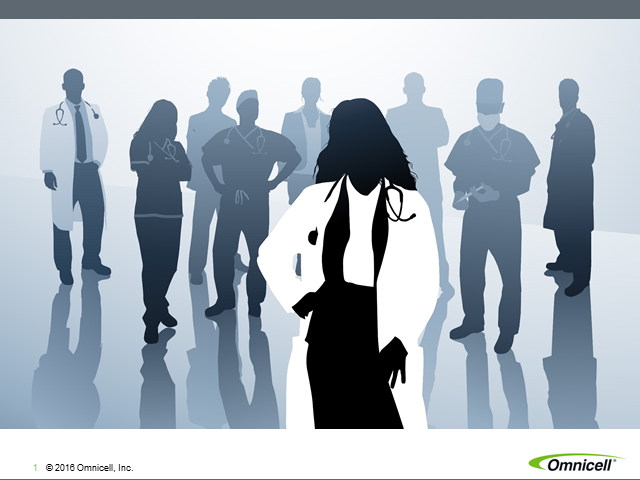 Omnicell is proud to continue its webinar series on Diversion Management with special guest Kimberly New. Learn how to set your institution up for success by having the correct people, processes, and technology in place to address the serious problem of drug diversion. • Identify potentially unknown risks or challenges in existing diversion monitoring practices at your facility. • Discover best practices for medication security processes to prevent diversion of controlled substances. • Learn how to collaborate with colleagues from Pharmacy and Nursing to ensure long-term sustainability and success of a drug surveillance program. • Best practices for medication security processes to prevent diversion of controlled substances. • Consequences of drug diversion including the spread of infectious diseases, deaths, and fines charged by the DEA. • Past drug diversion activity at facilities that lacked processes to monitor diversion. •Identify opportunities to collaborate with different departments to protect your patients from the harms of diversion. You have the tools, you understand the process, and now it’s time to proactively tackle drug diversion. We wrap up this webinar series by taking a look at health care facilities that have successfully implemented diversion solutions in their hospital. The discussion will include how these facilities were able to gain C-Suite level support for their programs. With this final installment of our Diversion Management webinar series, you’ll be equipped to take action at your facility and stay ahead of the curve on drug diversion—a critical patient safety issue. Kim is a leading national expert on drug diversion. As a former compliance specialist at the University of Tennessee Medical Center, Kim became an expert in catching, managing, and ultimately minimizing drug diversion incidents. Kim is joined on a panel discussion by two Omnicell customers (a Director of Pharmacy and a Diversion Manager) from Allina Health. With the new health care reform laws focused on reducing readmissions, more than ever before, pharmacists are expected to play a pivotal role in patient care. There are opportunities in every type of pharmacy to improve patients’ adherence and therapeutic outcomes by implementing an adherence pharmacy practice model. Nobody expects diversion to happen at their hospital, and when it does, it can be a complex challenge to confront. Kim New and other special guests discuss how to effectively manage diversion incidents when they occur. The priorities are to minimize risk, protect patient safety, and help rehabilitate the diverter. Kim is a leading national expert on drug diversion. As a former compliance specialist at the University of Tennessee Medical Center, Kim became an expert in catching, managing, and ultimately minimizing drug diversion incidents. Everyone knows diversion is a major challenge in today’s health care environment, but not everyone knows how to confidently detect, manage, and prevent diversion incidents. Omnicell is proud to announce a four-part webinar series on Diversion Management with special guest Kimberly New. It’s an undeniable fact that when health care providers divert medications, patients suffer the consequences. Learn about the risks associated with diversion not only for your patients’ safety but for the liability of your hospital. If you’ve ever had questions about the risks associated with diversion, this webinar is designed for you. Kim New has extensive experience assisting facilities with starting and refining their drug diversion programs, with a goal of protecting patients from the harm that is frequently associated with diversion. Gaining acceptance of medication automation from anesthesia providers can prove to be a challenge. Learn tips for success from a leading hospital system that deployed advanced technology in a perioperative environment. These thought leaders will share their experience in adopting leading technology and offer insights about their deployment experiences, as well as discuss improvements realized in clinical practice and workflow.